SNAFU! : Why the LCAC is crucial to the Marines. Why the LCAC is crucial to the Marines. 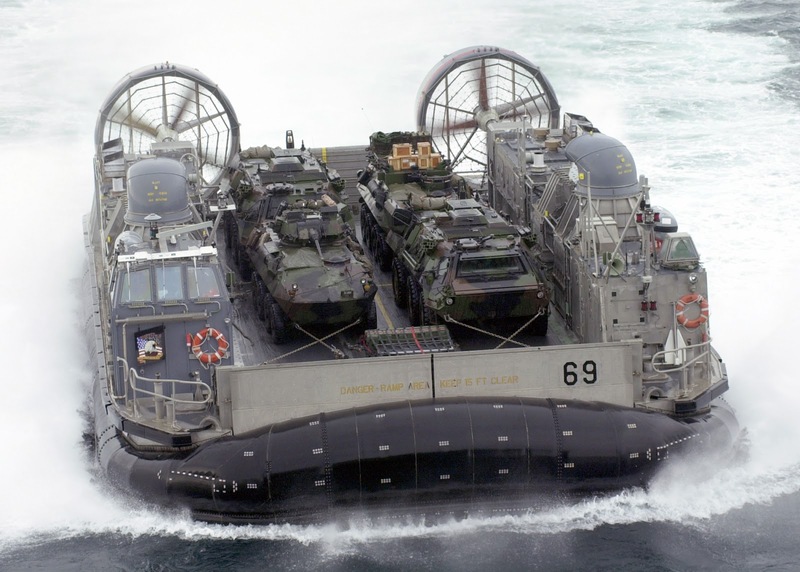 For the foreseeable future, in order to get significant forces from ship-to-shore the Marine Corps will rely on the Navy’s fleet of specialized vessels, the Landing Craft Air Cushion (LCAC). First deployed in 1984, the LCAC revolutionized amphibious operations. The LCAC is a high-speed air cushion platform that floats just above the water. It is capable of carrying heavy payloads and large numbers of Marines from the well deck of an amphibious ship stationed up to 100 miles at sea not just to the water’s edge but over the beach. With a cargo capacity of up to 70 tons, the LCAC is able to carry the heaviest vehicle the Marine Corps possesses, the M-1 tank, at speeds approaching 40 nautical miles an hour. The LCAC is designed to be carried and operate from all Navy amphibious ships that possess a well deck. This is a large, enclosed space located in the stern of many amphibious warfare ships, which allows LCACs, amphibious vehicles and boats to load men, vehicles and supplies directly from the ship’s interior. Once fully loaded, LCACs can move rapidly across the water and over the shore, delivering large numbers of Marines, their combat gear and fighting vehicles into battle. LCACs also can conduct evacuation support, lane breaching, mine countermeasure operations, and Marine and Special Warfare equipment delivery.